I'm generating a link to a Google map that shows driving directions from point A to point B. The map opens showing the whole United States even if the route is just from Virginia to Missouri. How do I set the zoom level so that it fits the route to the page? I've checked the docs and there doesn't seem to be a zoom parameter for directions URL's. Map should be zoomed in to only show Virginia to Missouri. Map shows most of the US and half of the Atlantic Ocean. Browse other questions tagged google-maps-urls or ask your own question. What parameters should I use in a Google Maps URL to go to a lat-lon? 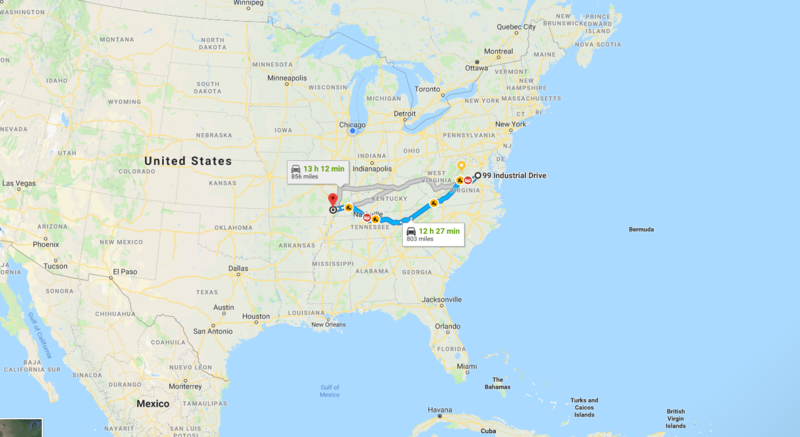 google map url - how do I pass in a custom name along with lat and long in url to google maps?